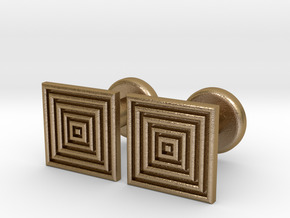 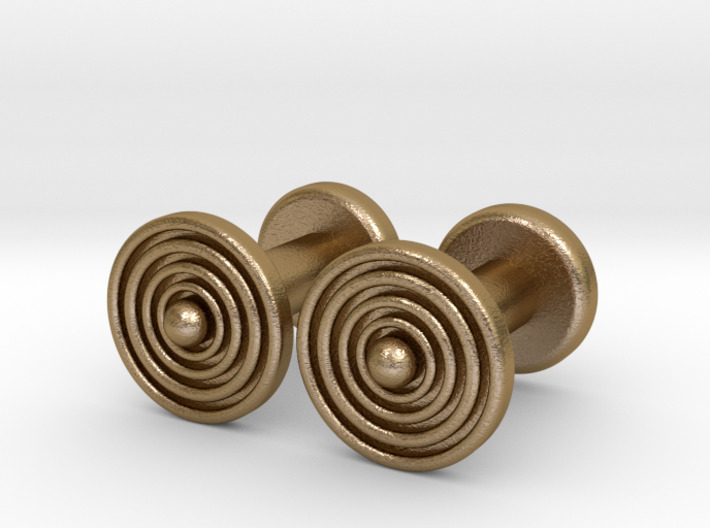 Styled with the minimalist gentlemen in mind (who may be a bit more mathematically inclined than most), these minimalistic men's cufflinks are designed with a series of embedded circles leading down to a centre sphere. Alternatively, one could say that these minimalistic men's cufflinks are designed with a centre sphere, with a series of circles emanating symmetrically from the centre sphere. 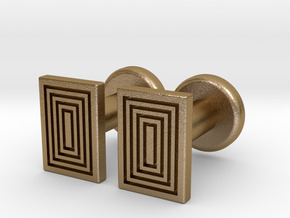 The wavelength of these cufflinks is ~1.20 mm; the frequency depends on how often they are worn, or the medium in which they are worn.